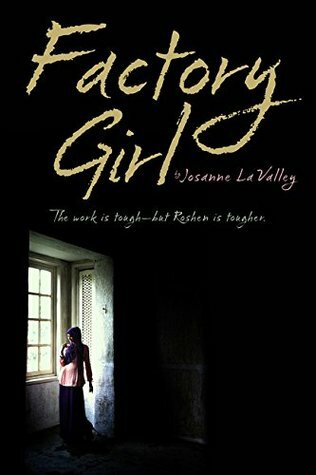 In order to save her family’s farm, Roshen, sixteen, must leave her rural home to work in a factory in the south of China. There she finds arduous and degrading conditions and contempt for her minority (Uyghur) background. Sustained by her bond with other Uyghur girls, Roshen is resolved to endure all to help her family and ultimately her people. A workplace survival story, this gritty, poignant account focuses on a courageous teen and illuminates the value—and cost—of freedom. Josanne LaValley traveled across the Taklamakan Desert to the Hotan region of China, where she spent time among the Uyghur. The recipient of an MFA in writing children's books from Vermont College, Ms. LaValley lives in New York City. This story was hard to read at first because of it being slow, but it picked up. It goes to show that the story is influenced by true events. I could not follow too well, with it being slow, but it does change your perspective. It was an interesting read. Girl leaves home and goes through some harships.